Since 1989, The Compensation Company has provided outsourced, Human Resources consulting services, specializing in Compensation/Total Rewards and Pay Equity, by designing and developing strategies, plans, programs and services. Pat Allinson, Principal of The Compensation Company provides services to organizations within private, public and non-for-profit sectors (both Non-Union and Union). Pat has worked with Leadership Teams and Boards of Directors to effectively re-align HR programs. In addition to Pat’s seasoned Human Resources experience, Pat has participated on the Annual Conference Planning Committees for the Human Resources Professionals Association (HRPA) and World-At-Work, as well as several Pay Equity Commission focus groups. Pat has been a guest lecturer at Centennial College on compensation practices, trends and strategies within Canada. Prior to The Compensation Company, Pat worked as a Senior Compensation Specialist with the WSIB of Ontario providing compensation and organizational development advice and services to Non-Union and Union business partners. Pat also gained Incentive Compensation knowledge within the Information Systems Division of Honeywell by developing variable pay plans for all levels of sales staff across Canada. 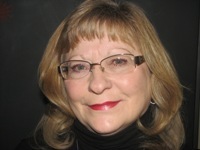 Pat holds a Bachelor of Arts Degree (Psychology) from Carleton University, a CHRL designation and is a member of the Human Resources Professionals Association (York Region Chapter) and The Markham Board of Trade. Contact The Compensation Company today to discuss how we can assist with your goals.